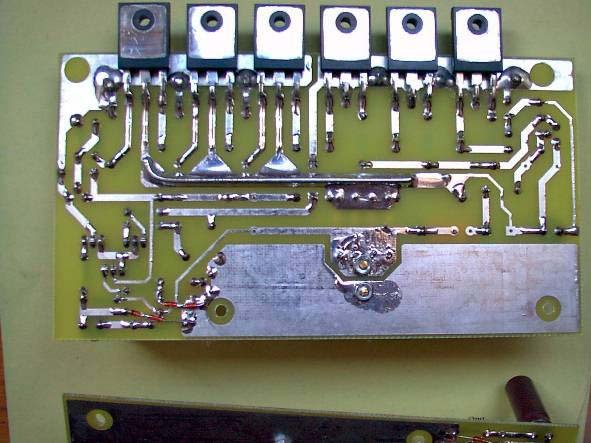 Dear fellow PassDIYers, my name is Panos from Athens, Greece and I am the happy owner of an A3 amp based on a copy of the schematic (Amplifier 5) Mr Pass sent me 2 years ago. The sound is objectively very natural and sounds like a huge SET amp with better dynamics and attack. I also designed a nice PCB for it, able to accommodate 3 pairs of IRFP240s biased at 1amp total adjustable by a precision trimmer. 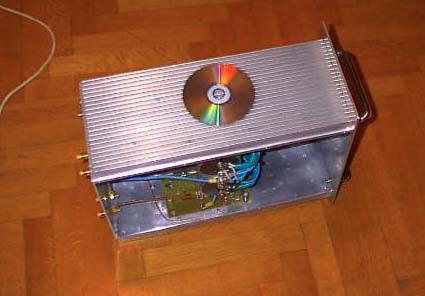 The power supply consists of a 680w toroid and 2X 100.000μf comp grade caps. The rail voltage is +/-27V after 1 hour warm up of the amp. The heat build-up reach 60C with ambient temp 24C. The heat sings are massive (thought so). Dimensions of each of the 2 HSs are:L42cm x W18cm x H3.5cm , each having base plate of 1cm and 2.5cm fins, number of fins 22 on each HS. Heat sinks as well as power supply capacitors came from local surplus shop and the total cost of the amp was a silly 200$! 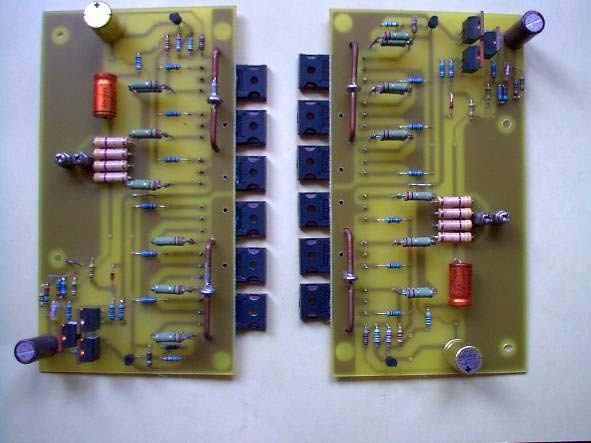 I also designed pcbs on an ancient PCB software and a soft start circuit was included in the design to limit inrush current moreover I am building a dc protection circuit to avoid loss of loudspeakers in case of failure. As all of us know very well by now, most of the time and effort to build such a projects is purely associated with the building of the chassis. 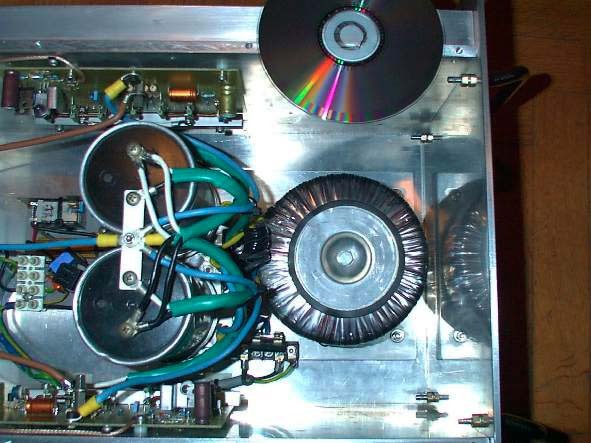 In general this project taught me everything I know about amps and audio electronics in general thus I would like to personally than Mr Nelson Pass for his generosity on sharing his knowledge with the DIY audio community.